Wild Maine Blueberry Jam - Enjoy the bursting flavor of Maine blueberry jam year 'round with this elegantly simple award-winning jam. 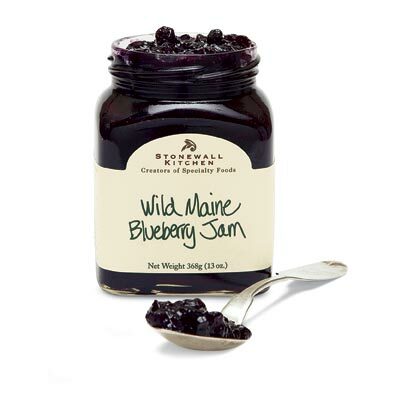 Packed with fresh Wild Maine blueberries, Stonewall Kitchen Blueberry Jam is sure to become an all-time favorite. For an easy dessert layer blueberry jam in a parfait glass with vanilla ice cream & crisp shortbread cookies. Use Maine Blueberry Jam with Koeze Natural Peanut Butter to make the best peanut butter & jelly sandwich ever!